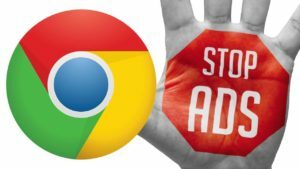 Adblock is a powerful ad-blocker extension for Google Chrome browser to help block ads from interrupting your browsing. 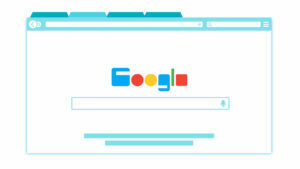 It was inspired by Adblock Plus for Firefox and features many of the same tools for blocking ads. However, this project has nothing to do with the latter. Adblock is incredibly powerful and blocks just about everything including pre-video ads in YouTube. When it's blocking ads, you'll notice the Adblock logo glow red in your Chrome taskbar. 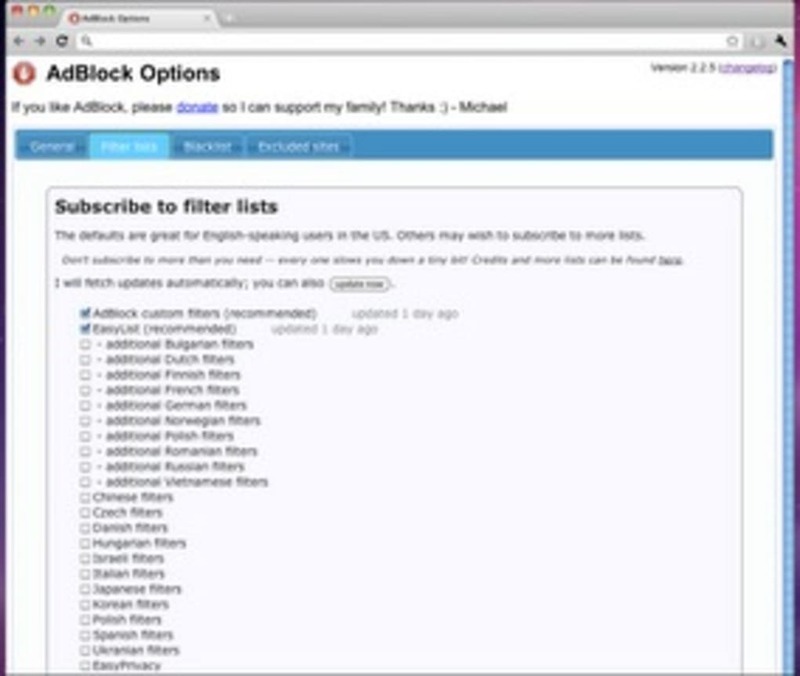 There are filter lists that you can add or delete sites from within the add-ons panel. 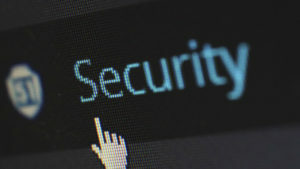 It's important to filter sites that you do need flash pop-ups to work on (such as Grooveshark) for example, in order for applications to work properly while Adblock is working. 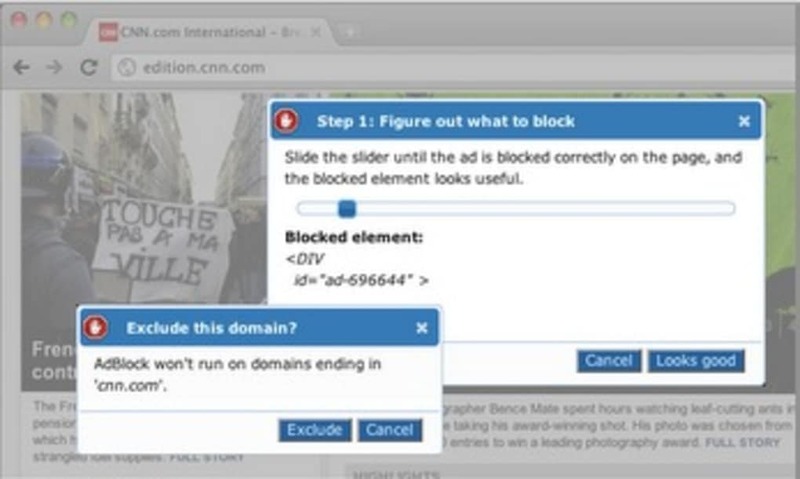 Adblock is a very powerful ad blocking tool that may make your pages look a bit empty, but is certainly effective. New in version 2.4: More than twice as fast, while using less memory per tab!